A beautiful album of hushed and sparkling psych pop from Sweden, which manages to sound both precious and thrilling. Right from the opening song ‘Necessary distortions’ (even that title tells a lot about the band’s aesthetic), the deceptively sweet sounding vocal melodies, the thrumming bassline, the swirling filtered keyboard and the haunted atmospherics are all present. In fact, ‘The optic nerve’ that follows is like a slowed down sister song, employing similarly mesmerising arpeggios backed up by shimmering reverbed guitar and all manner of electronic squiggles and twirls. And no great changes for ‘Arcana’, another gorgeous tune with the hushed feathery vocals of Marleen Nilsson, deliriously wobbling guitars and washes of organ on the backdrop. Press releases can be interesting. Especially ones that namecheck Nelson Riddle arrangements and the golden age of 50s crooners (sound reminiscient of), La Monte Young (studied under), Alan Sparhawk of Low (previous recordings with), Stephin Merritt (co-writer on this album) and Lydia Lunch (tour partner). An itinerary that's intriguing you'll agree. Two of my favourite albums over the last few months were in this week's show. 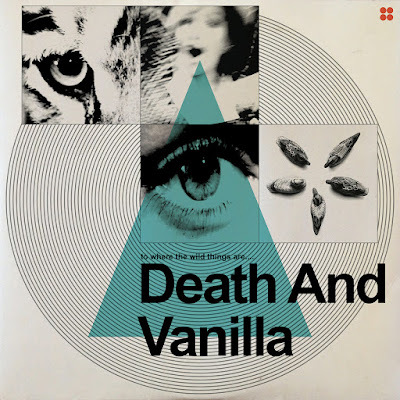 Death & Vanilla play a wonderfully delicate brand of psych pop, haunted and gorgeous equally. 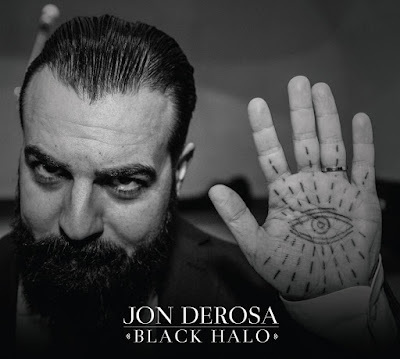 And Jon DeRosa whose new album is a dream of crooning dream pop with unsettling undertones, not a million miles from the tone confusion you find with music in David Lynch films. Brilliant. Stump reformed in secret to play a show in Cork last weekend, any excuse to dip into their back catalogue. Three outstanding female innovators in pop music at the heart of the show - Circuit des Yeux, Holly Herndon & Bjork. Majestic if broken/industrial orchestral offerings from Beck & Roll The Dice. And soulful, cosmic, motorik beauties from The Great Balloon Race & Vinyl Williams. There's a new album from Giant Sand out, Howe Gelb and friends, and as usual there are some beautiful things contained within. We heard 'Pen to paper' from it on this week's show, a gorgeous late night meditation on writing, contact, communication, perhaps travel and ageing even, with sublime filtered piano, shuffling drums and a smoky nostalgic vocal. It's wonderful. Also wonderful is the late Rod McKuen contemplating Haiku poems and waitresses in bandanas over double bass. It's hilarious and poignant at the same time. New music from William D Drake, a great stomping medieval folk number; Orchestra of Spheres getting gloriously funky about the number universe; Virginia Wing with lissome psych pop. 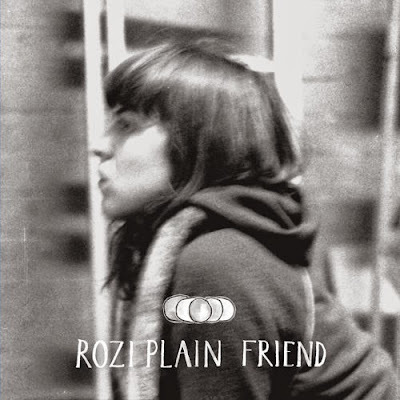 Polar Bear focusing on the light of the universe, Rozi Plain dealing a gorgeous kosmische. And Sheffield duo Nai Harvest with a welcome update of Husker Du. A compelling and invigorating slice of what sounds quite like performance art on record from Haley Fohr of Chicago. If that’s a new name to you, here’s the press blurb behind her new album. A beautiful album of folk drones enlivened by vintage synths and inventive danceable backbeats. We've already spoken here of the beguiling kosmische lilt of ‘Actually’ and the spacey pitter patter club atmosphere of ‘Jogalong’. But check the glorious Tortoise-like brass swells of ‘Best team’, the bleeping keys with two step drum machine of ‘Five beans’ and the gorgeous late night shuffle of ‘Quarry’ and it’s obvious that this is a highly unusual hot pot and nothing like your average folk album. We must also mention Plain’s authentic singing-to-itself vocal style, a unique instrument with inflections capable of turning words into unending earworms. Describing music as having a sense of adventure is a bit of a cliché these days but there’s a genuine feeling of horizons expanded and a questing personality behind these songs. If you're a regular, you'll know I've been a huge fan of Aldous Harding since first coming across her late last year. The woman taps into a timeless folk strain but with a sharp & gothic songwriting style. She's on tour in the UK right now, check her out. Circuit des Yeux is Haley Fohr of Chicago, also on tour soon inc in Cork, a fascinating purveyor of minimalist patterns with very appealing open-throated singing. I'm always a sucker for high quality orchestral pop and Paperface is exactly that - strings, sentiment, wry observations, it's all there. Taking orchestral pop into more Scott Walkerish territory is August Wells, an old fashioned thoroughly gorgeous song. The Star Department with lovely low key psych pop; Daniel Knox with irresistibly lilting cabaret; Twerps bringing jangle pop home gloriously. And Dawn of Midi, for fans of Hauschka, brilliant excavation of rhythm. A beautiful blast of intellectual fury from Patrick Stickles and friends. This is one of those rare instances when you need the lyric video to get the full visceral benefit. The righteous anger in Stickles’ vocal delivery will be immediately apparent but check the self-motivating thrust and burgeoning ego of this passage which would fly straight past the naked ear. There’s a distinct literary sensibility lurking in those roars and pummelling backbeats, high brow masquerading as low brow. Stickles here is the US Shane McGowan, slayer of the American dream. Laura Bryon of Cardiff's new album is full of pleasurably trashy guitars but this song sticks out for me and there’s not a guitar in sight (well maybe a couple near the end but they're subtle). A restless ticking drumbeat and a visceral lyric with a carefree tang and a tease to it. Then the chorus (an instrumental break really) introduces a genius stabbing organ part – the kind you could happily hum all day - before ramping up the ante with a full scale breakdown later. The new Titus Andronicus tune is a tour de force of controlled fury, shout singing brought to new levels of insight and intelligence. Essential. John Cale with a great memory from 1974, chaos nagging at the edges of sweet melody. And Courtney Barnett giving a great litany of modern day lameness. The beautiful mariachi touch of Jon DeRosa; the gorgeous pedal steel sweep of Tandem Felix; the lush soul of Laetitia Sadier and the soulful psych of Vinyl Williams. The compelling psych drift of Todd Tobias and Death & Vanilla making glorious psych pop.